Bleeding? , Brake oil? Yeah right, whenever we face problem with your car’s or bike’s braking system we often hear these terms from the mechanic, and also if we talk about the two wheeler’s disc brakes we only see a hard black color pipe connecting the brake lever with the calliper, we don’t see any mechanical linkage like our bicycles, right? So now the questions arise how these brakes work without any mechanical connection between the actuator (lever or pedal) and the drum shoe or disc calliper? 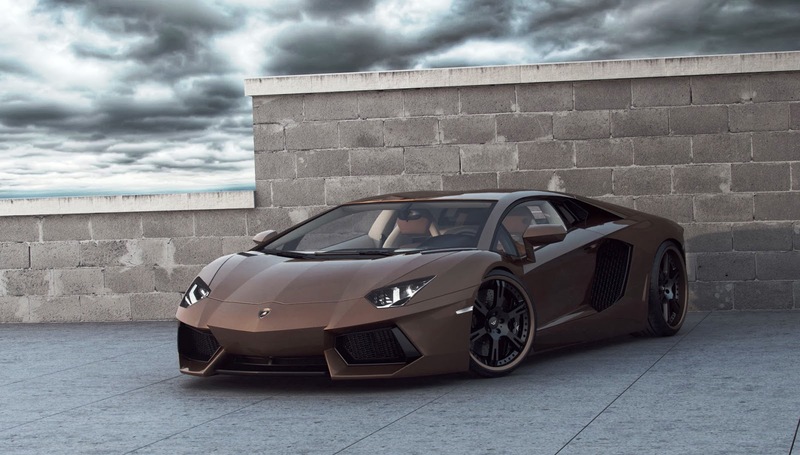 , why do we need brake oil for our braking system? So let’s just dig into this article to find out. Hydraulic braking system is a type of braking system in which unlike mechanical braking system, hydraulic fluid is used to transmit the brake pedal or brake lever force from the brake pedal or brake lever to the final drum shoes or disc caliper in order to achieve braking. In this type of braking system the mechanical force transmitted by the driver on the brake pedal is converted into the hydraulic pressure by a device known as master cylinder ( see article on master cylinder) and then this hydraulic pressure is sent to the final drum or disc caliper in order to stop or de-accelerate the vehicle. 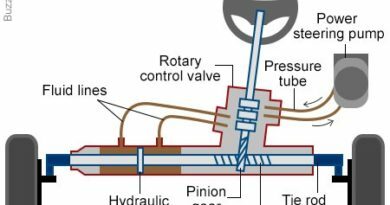 Prior to the hydraulic braking system the type of braking system used was mechanical braking system, so now the question arise if we already have mechanical braking system so why hydraulic braking system? Let’s just find out. As the braking of an automobile vehicle is a very crucial safety part so the responses from the brake pedal to the final braking must be very quick which was a failure of a mechanical type braking system and is very well achieved by the hydraulic braking system which provides quick braking. The brake force generated by hydraulic braking system is very high as compared to the mechanical braking which is a very important factor for today’s super and hyper series of vehicles. Frictional wear and tear in case of mechanical braking system was very high due to the involvement of many moving parts, which is very well reduced to the optimum level with the introduction of hydraulic braking system which has very less moving parts as compared to the mechanical one. 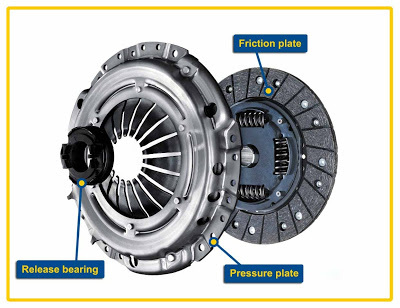 Brake failure chances in case of hydraulic braking system is very less as compared to the mechanical system due to direct connection between the actuator ( brake pedal or lever) and the brake disc or drum. Design complexity in case of mechanical braking was very high which is reduced with the introduction of hydraulic braking system which has simple and easily assembled design. The maintenance in case of mechanical braking system was high due to the involvement of complex and more number of member which is not a problem with the hydraulic braking system as it has simple design with less moving parts. (i) Drum brake or internal expanding hydraulic brakes. (ii) Disc brakes or external contracting hydraulic brakes. We have already familiar with these terms from our last article on types of braking so let’s just study about their construction and working. Brake pedal or brake lever- In hydraulic braking system same as other braking brake pedal or brake lever is required by the driver to apply braking, this brake pedal or brake lever is attached with the master cylinder through mechanical rod or connecting rod. Master cylinder– It is the simple cylinder and piston arrangement ( refer to article on master cylinder) which converts the mechanical force from the brake pedal into the hydraulic pressure. The brake pedal is connected with the master cylinder’s piston in such a fashion that the movement of pedal causes to and fro motion of the piston inside the master cylinder. Brake fluid reservoir – it is the simple reservoir tank containing brake fluid which is connected to the master cylinder with the help of brake hose. Brake lines- They are the hollow high pressure metal tube that connects the master cylinder with the drum cylinder inside these brake lines high pressure brake fluid from the master cylinder flows which is responsible for further brake actuation. Drum cylinder- It is the another cylinder fitted inside the drum of the drum brakes and is connected with the brake shoes , the high pressure brake fluid from the brake lines comes to this cylinder. 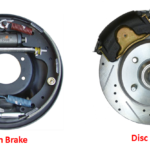 Brake drum (refer to article on drum brake) – It is housing of drum cylinder , brake shoes and spring , the outer part of the drum rotates with the wheel and inner part consisting the brake shoe and cylinder remains stationary. Brake pedal or brake lever- Exactly same as drum brakes mentioned above. Brake fluid reservoir- Same as drum brake. Brake lines – Same as drum brake but here they connect the master cylinder with the disc calliper cylinder. Disc rotor- It is the metallic disc fitted with the wheel hub in such a fashion that it rotates with the wheel of a vehicle moreover disc rotor is the surface that make frictional contact with the brake shoe in order to stop or de accelerate the vehicle. Disc caliper- It is a small stationary component fitted over a disc just like a clamp, inside which there is a housing of brake shoes and hydraulic cylinder, when the brakes are applied the brake shoes inside the caliper contracts and make frictional contact with the rotating disc in order to provide braking. 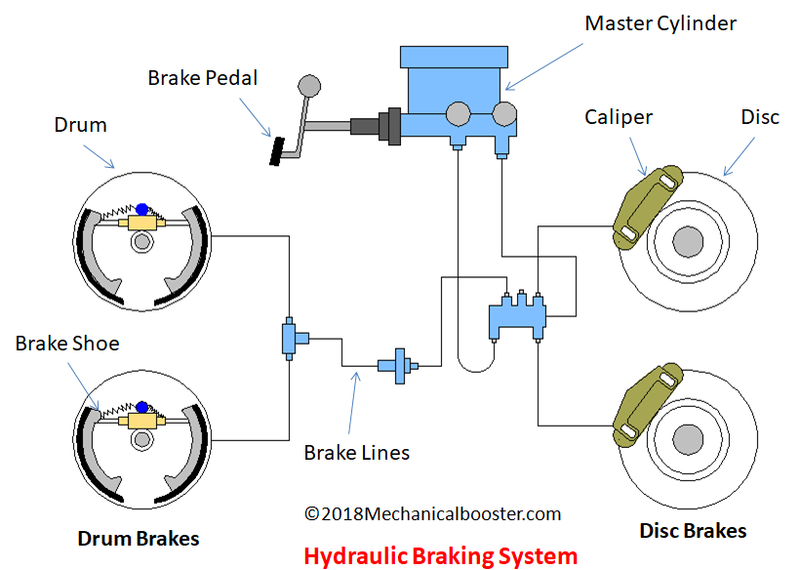 All the components of single acting hydraulic brakes and double acting hydraulic brakes whether it’s a drum type single acting brake or disc type single acting brake are same as mentioned above, the only difference is type of master cylinder used which decides the brake force distribution i.e. In bikes- single wheel braking or double wheel braking, In cars- two wheel braking or all wheel braking. So let’s just see that in detail. In single acting type of hydraulic brakes, simple single cylinder type of master cylinder is used which provides limited hydraulic pressure which can only be transferred in single direction i.e. In bikes- only single wheel, In cars – only single pair(front or rear) of wheels. In double acting type of hydraulic brakes, double or tandem master cylinder is used which provides higher brake force which can be transferred in double direction i.e. both wheels in bikes and all the wheels in cars. Due to the movement or actuation of brake pedal the connecting rod attached in between pedal and piston of a master cylinder moves which in turn pushes the master cylinder’s piston inside the master cylinder just like a medical syringe. Due to this movement of the piston inside the master cylinder the compression of brake fluid inside the master cylinder takes place which in turn provides the conversion of mechanical energy into hydraulic pressure. This highly compressed brake fluid from the master cylinder moves inside the brake and the transfer of this hydraulic pressure from master cylinder to the brake drum takes place. When this high pressure brake fluid enters the wheel cylinder or drum cylinder due o its high pressure , movement in the cylinder piston takes place which in turn expands the stationary brake shoes attached to it. Due to the expansion of the brake shoes frictional contact between brake shoes and drum lining (the rotating drum part) is made which in turn converts the kinetic energy of the vehicle into heat energy and finally braking occurs. Single Acting Drum Type Braking –The working of the single acting drum type hydraulic brake is exactly same as mentioned above, in this type of braking single wheel or a single pair of wheels gets the braking force. The high pressure brake fluid from the brake lines enters the disc calliper cylinder of a disc brake system. 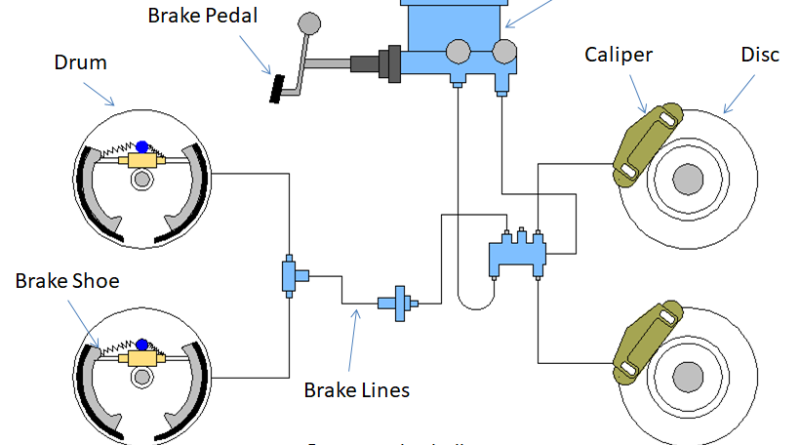 This high pressure brake fluid cause’s movement in the calliper cylinder’s piston which in turn causes the movement of the brake pad attached to the piston inside the calliper. Due to this movement of brake pad the clamping of the rotating disc rotor takes place and due to this frictional contact between brake pads and the rotating disc rotor, conversion of vehicle’s kinetic energy into heat energy takes place which in turn stops or de accelerate the vehicle. Single Acting Disc Type Braking- The working of single acting disc type hydraulic braking is exactly same as mentioned above, in this type of braking single wheel or a single pair of wheels gets the braking force. Double Acting Disc Type Braking- In double acting disc type hydraulic brake the high pressure brake fluid from the master cylinder is distributed in 2 directions i.e. 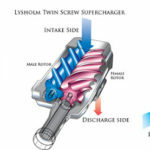 both the wheels in bikes and all wheels in cars due to the use of tandem master cylinder ( refer to the article on master cylinder). Drum Type Hydraulic Brakes- They are used in some low speed four wheelers like Tata Ace. Disc Type Hydraulic Brakes- They are widely used in almost all the cars like Maruti Suzuki swift, Hyundai i20 etc and also in bikes like Bajaj pulsar 180, Ktm Duke 390 etc. Single Acting Hydraulic Brakes- Front brakes of pulsar 180 is of single acting type. 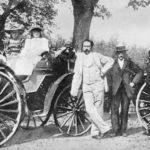 Dual Acting Hydraulic Brakes – All the cars mentioned above. 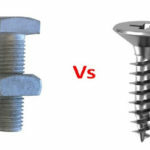 ← 37 Types of Hammers that You Don’t Know?